We have thought for a long time about how to proceed with our new music column. It seems that, having started with post-rock, it is necessary to keep going in that particular direction, meaning that we should tell you about other music genres and performers that are no less entertaining and unique. 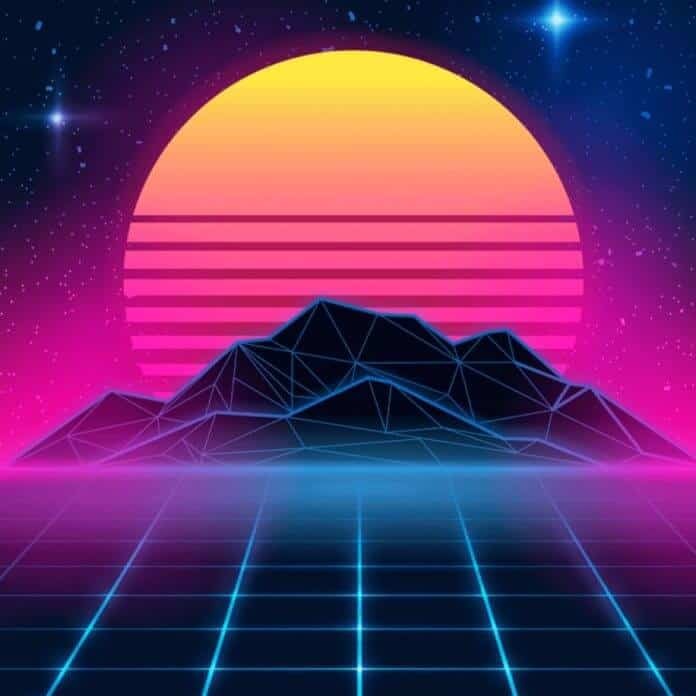 Today we are going to talk about retrowave. This genre is very young and field-specific, which doesn’t make it any less interesting; it emerged and developed in the mid-2000s in the United States. And if post-rock was an effort to develop the existing styles of music by looking at them from a fresh perspective, then retrowave is a genre that is based on nostalgia. Its main purpose is to re-create the atmosphere of the ‘80s as it was expressed in various movies (primarily action, horror, and sci-fi), mostly low-budget commercial films, video games (that also had a bias towards futurism), and television. John Carpenter, a renowned film director and composer, was one of the chief inspirers of this genre. The soundtracks which he composed for his own movies created, if anything, a unique atmosphere. Furthermore, the influence of the early music of the band called Tangerine Dreams is particularly discernible in this music. The name of the genre contains the word “retro”. The paradox, however, is that in the ‘80s this type of music was characteristic of the futurism movement, and people thought that the future would sound about like this. It seems that the style itself expresses nostalgia for a vision about the future that people had in the ‘80s. It is rather naive, though, with a touch of “acid”. Finally, before I get down to a list of bands, I would like to point out two important aspects. Regardless of the fact that this genre draws inspiration from retro culture, it doesn’t follow that it is not still developing: retro musicians experiment with sound and always manage to find their own approaches towards song-writing, approaches that will become fairly obvious after you listen to the musical compositions we have to offer. I should also note that this style has a lot in common with cyberpunk. Should I try and express the similarity by means of a metaphor, it would be that both these genres are trying to find an answer to the same question, “What will the future be like, and how will it sound?” The only difference is that the aesthetics of retrowave aren’t based solely on futurism but draw their inspiration from the ‘80s in general and futurism in particular since it was one of the main phenomena of that time. But let’s move on to the musicians. This is one of the most popular bands in this genre. They find inspiration in the recesses of the past, just like the rest of their colleagues, with the only difference being that they have a noticeable bias towards the aesthetics of horror movies and, partially, the rock music of that period. This band, from Austin, Texas is one of the most prominent representatives of the retrowave genre. Although this British project was formed in 2010, it has already managed to gather a substantial fan base among the admirers of this genre. It is interesting to note that their music video titled “Mountain” was the first official video made on the basis of GTA 5 gameplay. This French musician, whose real name is Vincent Pierre Claude Belorgey, has drawn on the entire background for his creative work. According to legend, Kavinsky is a guy who died in 1986 but then rose from the dead 20 years later to compose. Perhaps many people would recognize the song “Nightcall”. It became popular thanks to the movies Drive and The Lincoln Lawyer. A French project by James Kent, a musician who is “half man, half synthesizer”. That is exactly how he describes his alter-ego, which is responsible for the creation of musical works under the pseudonym Perturbator, inspired by the atmosphere of noir and cyberpunk. The band gained global popularity after the release of a video game called Hotline Miami because James took an active part in composing the soundtrack to this game. Please get yourselves acquainted with his latest album.